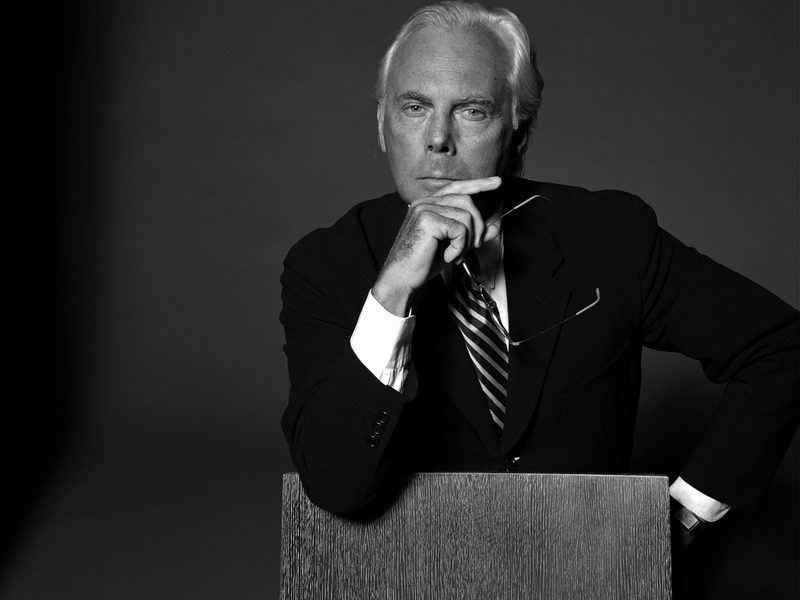 Giorgio Armani, the man touted to be both a brilliant designer & businessman. For the last 3 years I’ve been studying Fashion Marketing and Management in LASALLE College of the Arts, under the degree title BA(Hons) Fashion Media & Industries. When people ask me about what I study and I reply “Fashion Management (sometimes adding & Marketing)”. Usually I will answer in a nutshell that Fashion Management & Marketing is the basically Business Marketing studies but specific to the Fashion industry and we also study Fashion theories, history, trends, creative direction and graphic design. & Studio for putting our soft skills & knowledge into practical proposals such as Concept stores and Brands. Fashion management is the promotion of apparel sales and involves all of the tasks necessary to deliver the clothing requests and meet the needs of potential customers and designers. Developing campaigns, displays and advertisements, directing manufacturing and marketing, and creating sales strategies are the various parts of Fashion management. Credits here. Fashion marketing is much the same as product marketing. Integrating brand into the product is something always popular in the fashion world for many popular retail fashion wares. Basically fashion marketing is marketing to either fashion conscious consumers or to distribution channels such as retail franchises and so forth. Credits here. So you may ask, why did I decide to study something as specific as Fashion Marketing and Management? The reasons are simple, I love Fashion and I discovered after JC (Junior College) that I was more interested in the Business of Fashion rather than design. Also I really love branding, design and marketing. Also back then, after JC, I thought I wanted to be a Fashion Buyer. But over the last four years I have changed my mind. I am not exactly sure yet what I am going to do or be in the near and distant future, if it will be directly related to Fashion or not, but I am quite sure that the skills and knowledge that I have picked up over the last 3 years will still be relevant wherever I may be. You may also ask, so what are the Career prospects of Fashion Marketing and Management studies? That’s all! Let me know if you have any questions in the comments below! National Achievers Congress 2012 was eye opening to say the least. The reason I signed up for the course was to hear Robert Kiyosaki speak, as did most of the crowd. I will side track a little here. The author of “Rich Dad Poor Dad”, the financial self help book that has liberated thousands of children from the “Poor Dad” mentality to achieve the “Rich Dad” mentality. I am one of them. I was recommended by my real estate mentor to read the book so that I will be motivated to own my own business instead of working for others and the book definitely served that purpose. I would definitely recommend everyone to read this book as one of your first steps to financial freedom. It might be common sense to most people but he does have some unique insights that will blow your mind. There were a total of 17 speakers and I attended about 11 of their talks. See http://www.nacsingapore.com/speakers/ for the full list of speakers. For the price of $37 (discounted price) for my stall ticket, I would say it was definitely worth it, to hear some of the world’s best speakers talk about their life and business, and gaining the wisdom and experience they imparted. Schedule your success or you plan your failure. Figure where the worlds going and get there first. Busy = Broke. Billionaires delegate everything. People that chase money stay broke. 1. Pay a genuine compliment. 2. 90/10 rule. Them vs You. 3. Create value first and expect nothing in return. Goal is to get them to ask you what you do, so they develop an interest in you. Nik is the founder and CEO of Financial Freedom Institute, Money Masters Global, The Thrillionaires® and iCoach Global. He is a global wealth strategist, successful entrepreneur, international speaker, astronaut, high adrenalin adventurer and best-selling author. If you do not start to make plans or goals for your future, you will automatically fall into someone else’s plan. Investor is someone who knows ROI (return of investment) upfront on day one and is thus not a speculator. Deborah Torres Patel is Asia’s Leading Voice & Presentation Coach and expert trainer on Singapore Channel 5’s “Villa Wellness” reality programme and guest star on “Spirit of Service”. She began singing, dancing and acting professionally at age 4 and shared the stage with celebrities like Michael Jackson, Whitney Houston, Herbie Hancock, Kool & the Gang, the legendary Platters, and the late Sammy Davis Jr. & Milton Berle. Ability to make simple engaging conversation makes the difference from good to great communication. Professional image consultant. She has got to be one of the best looking grandmothers around and doesn’t look her age (60) ! What you focus on grows. Focus on assets or your bills will grow. The middle class use debt to get poor. The rich use debt to get rich. E.g. of a good debt – borrowing 46 million to buy a company and selling it for higher price. Infinite return deal means not having to spend money to invest in it. Debt is a hand grenade – Misuse and it kills you. Use it well and it helps you. Education is a process that teaches you how to fly, so study the area you want to work or market in. I loved their talk the most because they shared with so much passion about a topic which I also have a lot of passion for – Branding. Brand is the one way you want people to feel about your business. Brand is consistency, everything in your marketing feeds the feeling. Brand is focus, it feeds the feeling orleave it out. “A strong leader is both hard headed and soft hearted.” – Dave Packard. Remember the 80/20 rule. 80% of success goes to 20 % of people. It’s not what job you have but how you perform that matters! Always strive to do the right thing. Successful business is built around trust and reputation. It’s a huge part of success. If you like, you can download the full set of notes I took here: NAC 2012 Notes. No doubt a lot of them came across as infomercials rather than informative talks. Obviously I didn’t cite them in this post, I only took notes for those that were constructive. The norm would be about 15 minutes of introduction followed by 45 minutes of speech with a handful of interesting information and then 30 minutes of course or program promotion with a list of recommendations to boost their credibility and popularity. It was pretty heady to see the response from the crowd when some the more successful or popular speakers are able to garner hundreds of responses from the 3000 strong crowd to sign up for their extended courses priced from a range of $1400 to $3000. It was obviously their spectacular marketing skills put to use and yet it seemed that some of crowd was oblivious they were taken in by all the glitz and show. No doubt some of the courses would be useful to their companies and careers but spending a few thousand dollars on course is no guarantee that that will boast your sales or revenue. Well unless, said business is raking in by the thousands and possibly millions than I reckon the fee would be a reasonable/affordable sum. For a more detailed explanation do refer to this blog author’s post titled “National Achievers Congress, A Scam?” here. Nonetheless, for 5 students (I went along with 4 other peers) with little or no income at all it was a pretty surprising and oddly impressive sight. My take on attending Finance/Self help courses would be this. Only pay for it if you are clear on what you will receive and if you feel it is of value to you. If you have doubts, then don’t go for it. Although the onus is on the trainer’s side to provide what they deliver, sometimes certain things are left intentionally unclear, like loopholes and it is also the consumer’s responsibility to be discerning.